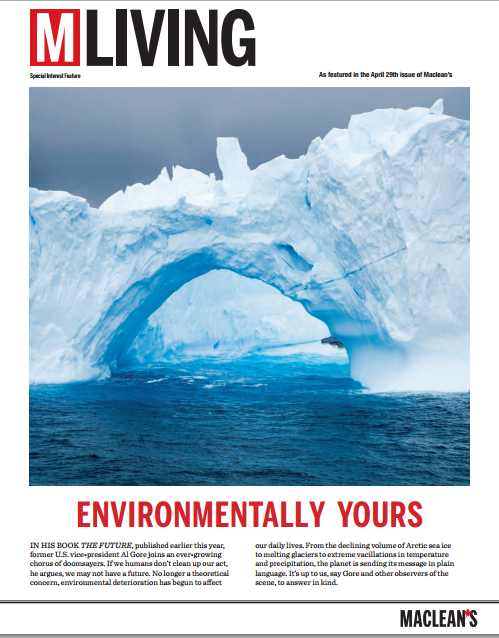 In recognition of World Environment Day, we are highlighting a link to a recent Macleans article: Environmentally Yours, as featured in the April 29 issue of Macleans, and posted on the Portlands Energy Centre (PEC) website. Written by award-winning Canadian writer Gabrielle Bauer, this feature provides a comprehensive overview of the global state of the environment, Canada’s perspectives and initiatives and what individuals can do to help. This entry was posted in Communications, Communities, Energy, Sustainability and tagged emissions, environment, greenhouse gases, honey bees, social responsibility, sustainability. Bookmark the permalink.